As you might aware or you might face the need for Cloud. But if you are not aware of Cloud computing so don’t worry about that we will first describe what is Cloud Computing & need of it? 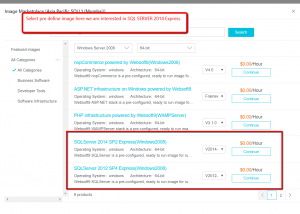 1) Buy servers to host web application & your database. you have installed the required software like PHP, ASP.NET, MYSQL etc which you required and then configure the application. 2) The second thing which we need to buy network traffic. 3) Once we have done with the above steps then next thing which is important is to maintain or monitor these servers and network traffic. 4) the space required to save the data. Now, if you see the major disadvantage is we have to pay a high cost to maintain and monitor the servers and also the setup of the servers is expensive. The other thing is monitoring and troubleshooting is tedious. Sometimes we pay the unnecessary amount when our system is idle. Even when we required a high-end CPU /RAM or network traffic we cannot change frequently according to Our need. scale up & down is very difficult and time-consuming. Even if going forward if we need more space then it is quite difficult if we go without cloud. To resolve all such issues Cloud is the solution. Where we can just concentrate on our application or we can say business only rest all other is easy to handle by cloud service provider. We can increase RAM/CPU/SPACE /Network bandwidth as per our need. Moreover, security and recovery are also can be defined on your fingertips. In nutshell, Cloud is a big umbrella where you can fulfill your applications need without worrying on hardware like (CPU, RAM, Storage), Network bandwidth, security, and data recovery. There are many companies which offer cloud computing (Services over the internet) and a well-known name is Alibaba Cloud computing services. The best part of Alibaba cloud services giving you the free trial of worth $300-1200 isn’t it cool. You can simply register yourself with your email to avail this free trial credits. The registration process very simple and easy. 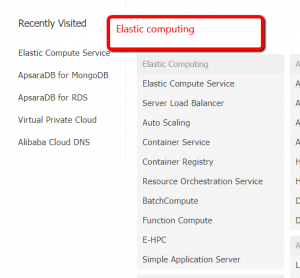 Below are some more features which Alibaba cloud computing has. 4) Alibaba provides approx 56 business apps. So, why are you waiting to start Alibaba cloud computing? In the next post, we will begin using Alibaba cloud computing.